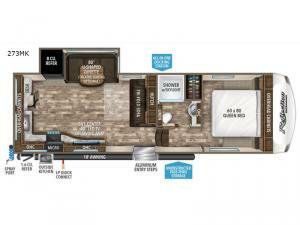 Looking to camp in luxury with your significant other with extra sleeping space for guests on occasion? 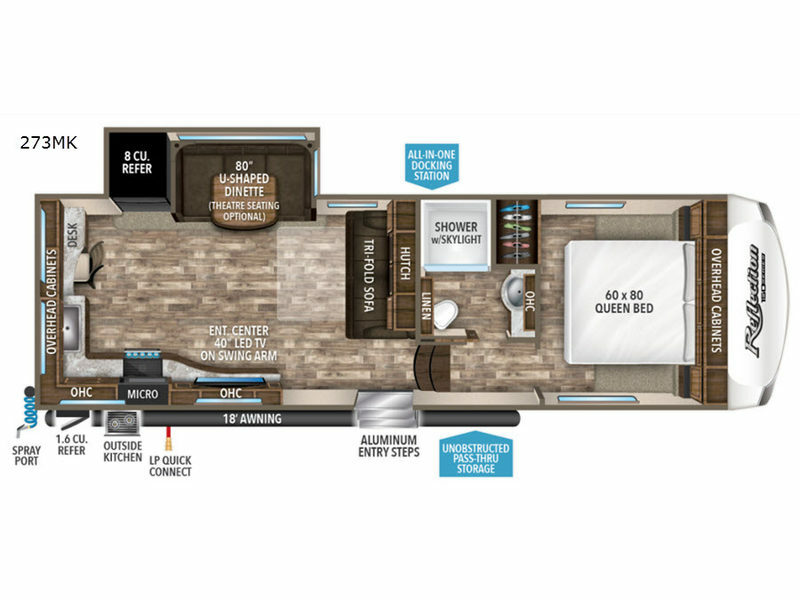 This Reflection 150 Series fifth wheel has additional space for overnight guests on the tri-fold sofa and 80" U-shaped dinette while you enjoy your own queen bed in the master bedroom. This fifth wheel also provides a desk in case you have to check into work while away, a 40" LED TV to watch when relaxing inside, plus a full interior kitchen. You might even enjoy cooking outside on the outdoor kitchen when the weather is nice. You will also find plenty of storage throughout the inside, as well as in the exterior unobstructed pass-through compartment. With any Reflection 150 Series fifth wheel by Grand Design, you will enjoy the ease of using your short-bed half-ton truck to tow thanks to the 90 degree turning radius swivel pin box. The Universal All-In-One docking station, LP Quick Connect, and One-Touch electric awning with LED light make setting up and packing up easy for those weekenders or full-timers that like to move around to see the countryside. Inside you will find that the bedroom is complete with a king-size wardrobe, a queen bed, and an oversized under-bed storage area. The large panoramic windows on the slide allow you to view the beautiful scenery that you've chosen to camp next to, and the Arctic 4-Seasons Protection package allows you to camp anywhere and anytime of the year.